Home may be available for longer term bookings of 6+ months at $5000-$5500 per month. **For more details about specials for this home, see the Sanctuary Vacation Rentals website or call our office directly. 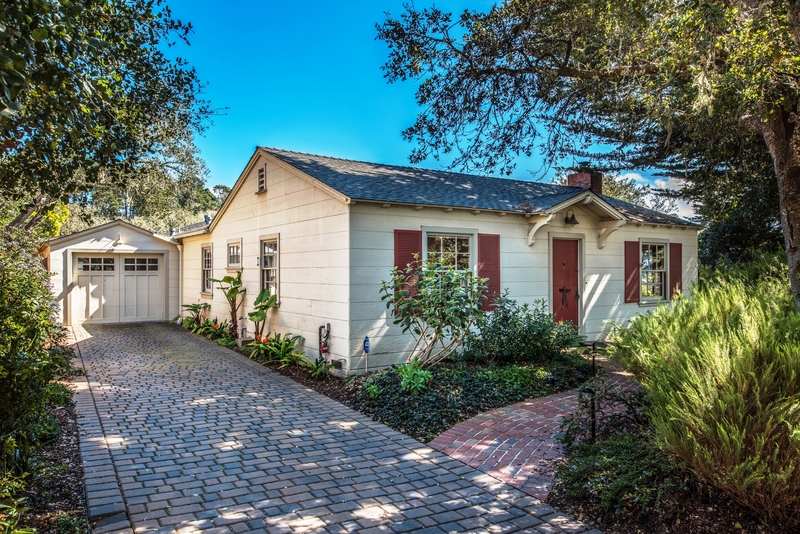 Everything about this Carmel-by-the-Sea cottage is ship-shape and ready for visitors, lovingly renovated for comfort but retaining its historic charm, surrounded by Monterey pines and oaks in a quiet, tree-filled neighborhood. Located just a few minutes’ walk from the renowned outdoor Forest Theater, home of a variety of preforming arts productions during which audiences can enjoy bring-your-own picnics or other refreshments in a comfortable outdoor setting, The Sunset Theater venue is just 7 blocks away. 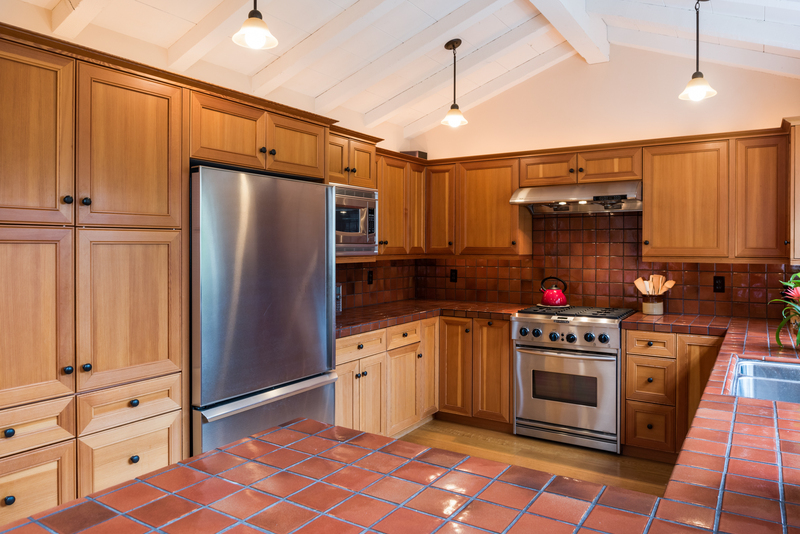 The 1950 square feet, 3-bedroom, 2-bath residence offers a variety of modern conveniences as well as a beautiful setting. Hardwood floors, plaster walls and whitewashed open-beam ceilings are among the features, in addition to vintage furnishings and artwork throughout the home, originally built in 1941 and updated and added onto in 2003. Its name harkens back to the ancient maritime method of gauging water depth; when the ship drew close to shore, soundings had to taken regularly, and sailors knew that they were headed for a safe port after a long voyage. 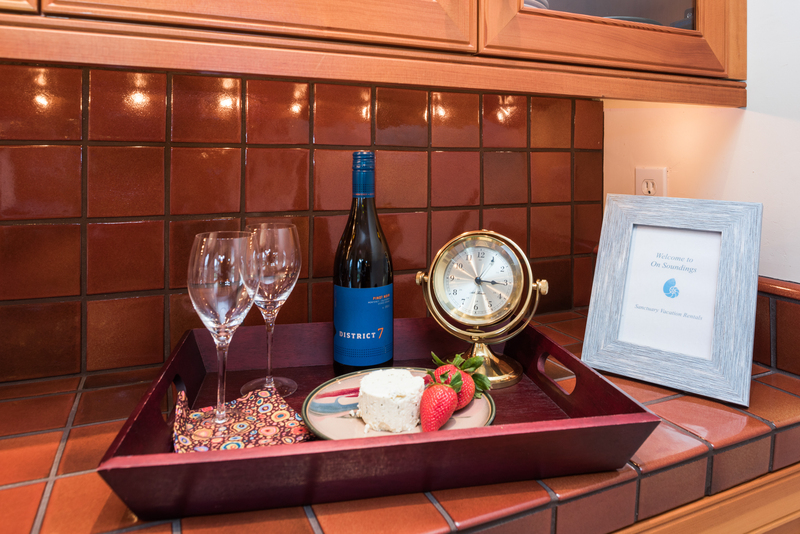 The home is just a 5-minute walk to shopping and dining in downtown Carmel, and 10 minutes by car to golf and sightseeing in Pebble Beach, vintage Victorian homes and Monarch butterflies in Pacific Grove, or from historic Cannery Row and the Monterey Bay Aquarium. Live oaks and ferns grace the pathway to the front door, painted a cheerful red to match the shutters. The entry opens to the living room, which features comfortable seating around a remote-controlled thermostatic gas fireplace. It’s the perfect place to gather for conversation, board games, or watching the 32-inch HDTV with SoundBox. Other features include a small library with books on local lore. 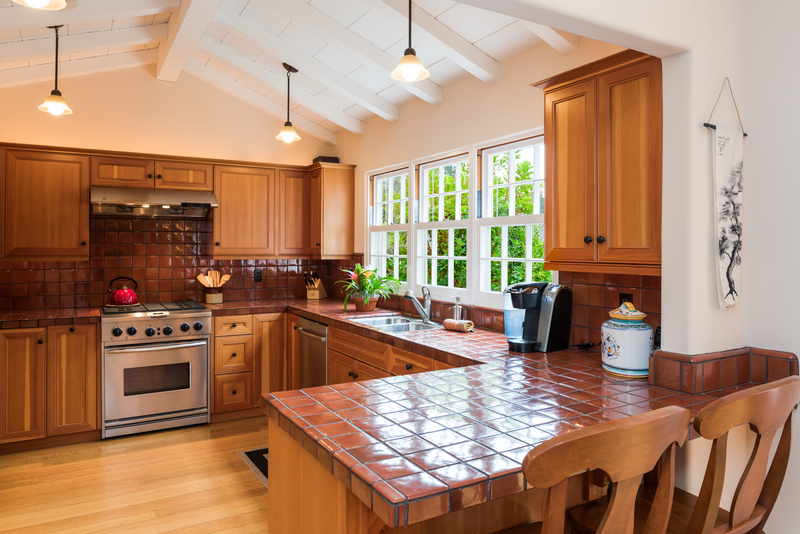 The kitchen features dark red heath tile countertops and wood cabinetry, pendant lighting and stainless steel appliances, including a KitchenAid gas range, a refrigerator with pull-out bottom freezer, and a Bosch dishwasher. 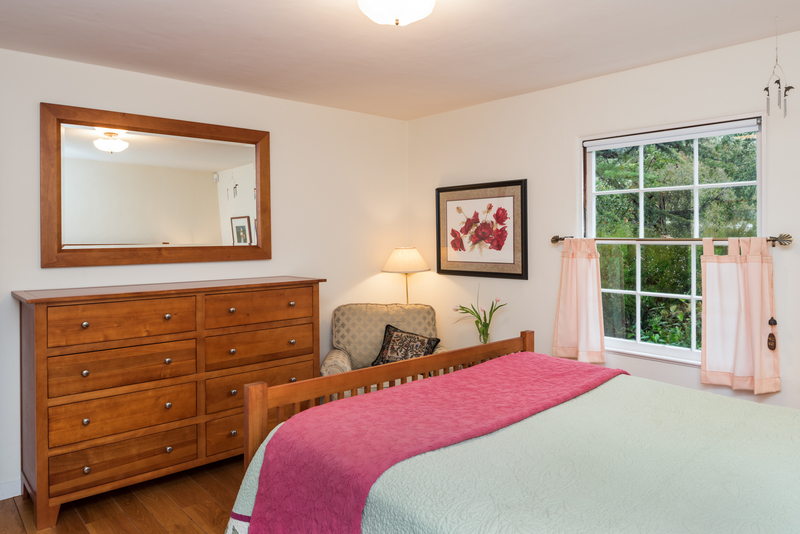 Large windows and skylights throughout the home let in generous amounts of natural light. An adjacent dining area with seating for six looks out on the garden and patio area outside, and a built-in bar area can also be found nearby. 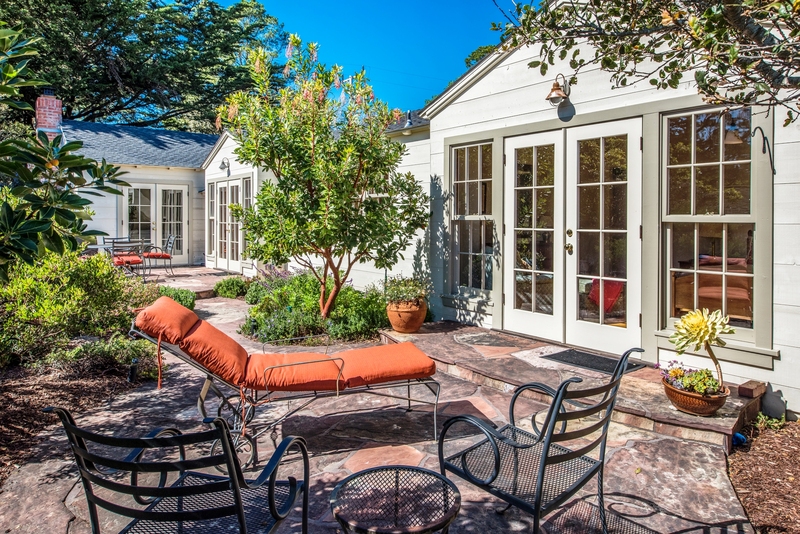 French doors from the living room, dining room and the master bedroom all open onto the south-facing flagstone patio, where landscaping includes a bubbling fountain set among Princess flower, Salvia, Ceanothus and succulents. Patio seating and a gourmet gas grill make this a prime spot for afternoon barbecues or enjoying a cocktail in the evenings. 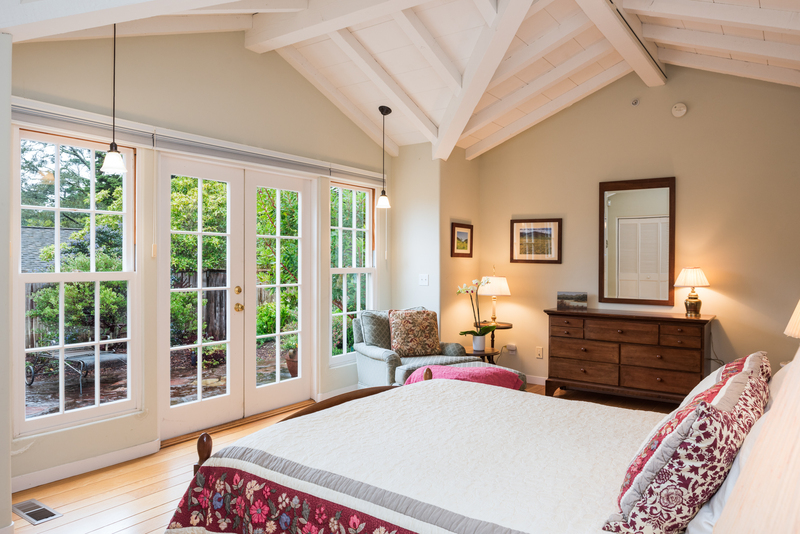 The master bedroom suite features a queen bed with a quilted coverlet in tones of ruby, blue, sage and cream, vintage furniture and a desk area behind bi-fold doors. The large bath features a vanity with dual sinks, tile floor, plenty of storage space, and a shower big enough for two. A walk-in closet is also available. 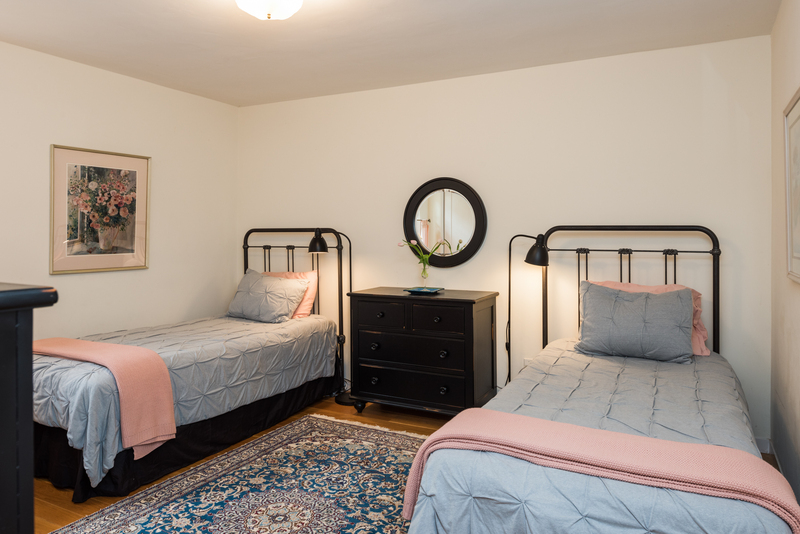 The second bedroom offers a mission-style queen bed with quilted coverlet, and the third bedroom has two antique twin beds as well as a desk. The shared bath in the hall has a pedestal sink, tile floor and a tub-shower combination. The home has a convenient laundry area with washer, dryer, and a countertop to aid in folding and sorting. Small non-barking dogs will be considered. This lovely home is new to the Sanctuary Vacation Family and doesn't have any guests reviews yet. Note: This bedroom has an en suite master bathroom with walk in shower. Note: Bedrooms #2 and #3 are adjacent to a shared hall bathroom with shower over tub.